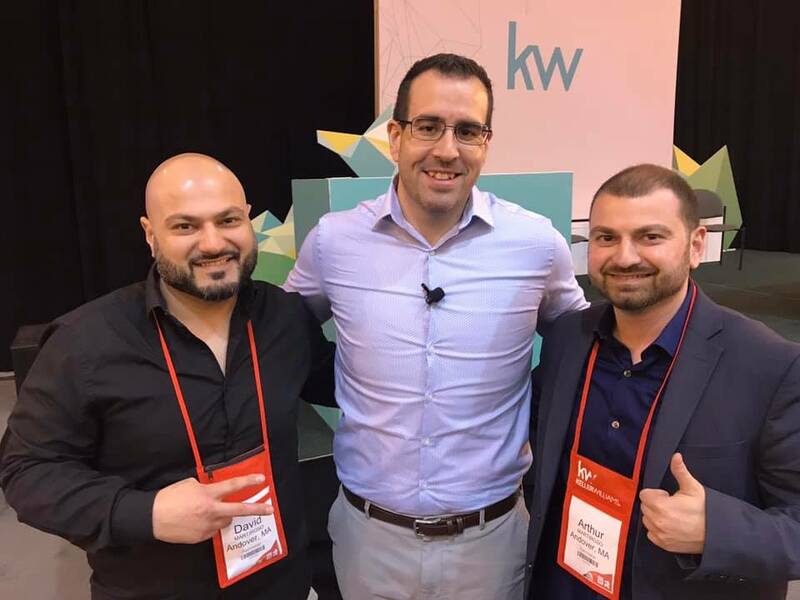 I recently had the pleasure of meeting with David and Arthur Martiroso of DNA Realty, part of Keller Williams Andover, MA. These top-selling brothers have so much fun with their real estate marketing, I had to find out more. Even successful agents wrestle with marketing. While much of their business is referral based, these gentlemen regularly get quality leads from social media. What was their secret? Let’s start with how they market. Aside from regular networking, David and Arthur have a YouTube Channel filled with 30+ videos of real estate advice, a feature on Boston News 7 about the Boston marketplace, an Instagram business page, a Facebook business page, a Pinterest page, a LinkedIn page, and a Snapchat account. All of this is updated regularly, and they do it themselves (no outsourcing). The content? Aside from featuring listings and celebrating team members and clients, David and Arthur attend networking events and have their videographer/photographer follow them around to capture it all. When they have client appreciation events, they post about those too. They announce the festive things in their business. They talk to other related professionals about big industry issues. Their social media is not generative. It’s celebrational. This means that the real action happens in person at events, and then social media amplifies and celebrates that. Many marketers expect social media to generate business on its own. Also, they vary their content and innovate on each platform, including using “Share Your Story” on Facebook and Instagram TV. They also like, comment, and share much more on other people’s accounts than post content of their own. They also point out that on social media, it’s important to relax and be themselves. They don’t put on a professional act and make things too clean and perfect. They just enjoy themselves without oversharing. There are 3 key things at play here. First, David and Arthur dedicate time every day, if only 15 minutes, to updating their social media. It’s part of their lives, even on days where they have multiple closings and could use the excuse not to post. Second, they started by mastering one vehicle at a time. Facebook came first, then a Facebook business page, then YouTube videos. Third, instead of being all things to all people, they act squarely in their genius: Celebrators. David and Arthur act as healthy Celebrators, which is an Innate Marketing Genius type that brings the good life to their audience through unique flair. In this case, David and Arthur bring fun and appreciation to everything they do. Their archetype (which falls under the Celebrator category) is Ongoing Parties. They go out, appreciate their community, have fun, and then share that with anyone and everyone. Even simply interviewing them was fun, because they clearly enjoy working together and getting the deals done, all at the same time. They both act in their zone of genius, instead of generically “trying to get the word out and growing their audience.” They are a generous contribution to their community. Everybody wins and their clients stick around for a long time. You have an Innate Marketing Genius too. Are you operating within it? Let’s sit down and talk about growing your business this way. First step: Marketing Discovery session, where you get real about your current marketing. Let’s do this!